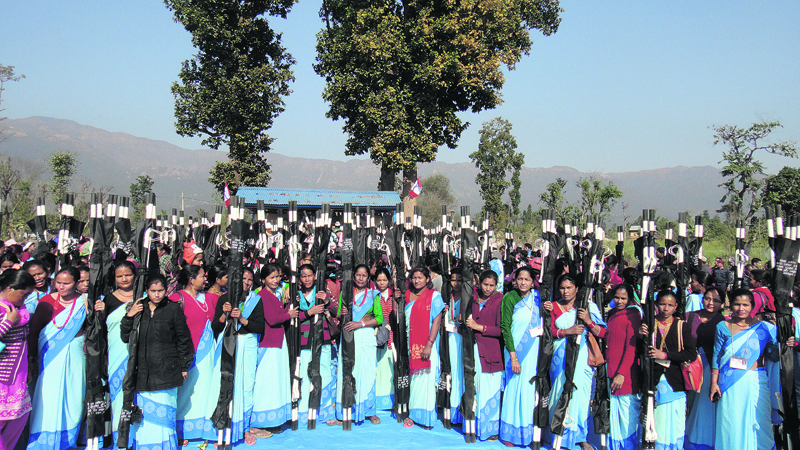 The government has recently provided stretchers to the female health workers in constituency 1 and in Surkhet. With a stretcher in every hand, the health workers feel empowered to save lives. SURKHET, Feb 15: Sunita BK of Tatopani - 8 started to feel labor pain four days before the delivery date predicted by her doctors at the local health post. Due to the remoteness of the village and absolute lack of transportation services, her family was not able to take her to the health post on time. It took hours before she could be readied to be taken to the nearest health facility. But she died midway. The incident happened only four months ago. “She died in front of our eyes. We regret it,” said Devisara Neupane, a female community health volunteer. “She would not have died if we had a stretcher back then. We lost a lot of time in finding a tool to carry her to the health post,” she added. Though it looks like a very small tool, a stretcher can do wonders in saving life, remarked Devisara. A number of pregnant women and other patients needing emergency attention have died in the village simply because of the lack of a stretcher, she said. “Sunita's face still dances in my eyes. She did not seem to have any other complication. But she died just because we could not carry her to the health post on time,” narrated Devisara. But the women in the villages do not have to die like Sunita now, she announced. The government has recently provided stretchers to the female health workers in constituency 1 and in Surkhet. With a stretcher in every hand, the health workers feel empowered to save lives. “It has added life to our profession. We are going to be more responsible and efficient,” Devisara said. Former Minister Purna Bahadur Khada handed over those stretchers to the health workers last Tuesday. A total of 304 health workers were provided with the tool. Last year, Khadka had distributed 343 stretchers in other areas. “People with disabilities, the critically sick, and the injured and pregnant women will greatly benefit from this. The availability of stretchers at the grassroots is a big thing,” said Khadka. “We politicians do not seem to notice small things happening around us. But actually, it's the small things that make big differences,” he added. Khadka said that he became aware of the need of more stretchers in the area last year when he had distributed some stretchers. Then he had vowed before the locals to distribute stretchers to other areas as well. “I realized that people die because of the lack of stretchers in the remote areas. The government needs to make stretchers even more widely available. We are campaigning to provide stretchers in all three constituencies of the district,” he shared. The lack of transportation services is more apparent in the western villages of the district. Though there are health posts, people's access to the facilities is not impressive. In the lack of well designed stretchers, people have been using bamboo baskets to carry patients to the health centers. And carrying patients that way is very risky, according to Devisara. “The load of the sick person has to be borne by single person unlike when a stretcher is used. This makes the bamboo baskets very inconvenient,” she said. The locals had been demanding stretchers for a long time. In local meetings, they had stated that they do not hope for big quick changes, but would feel grateful if helped with small but useful tools. Laxmi Sah, a health volunteer, had taken the lead and voiced for the need of stretchers time and again. Lawmaker Tapta Bahadur Bista remarked that Surkhet needs even more stretchers as many areas are yet to be connected to roads. “Our villages do not have even the most basic infrastructures. This has made life miserable in the remote areas. 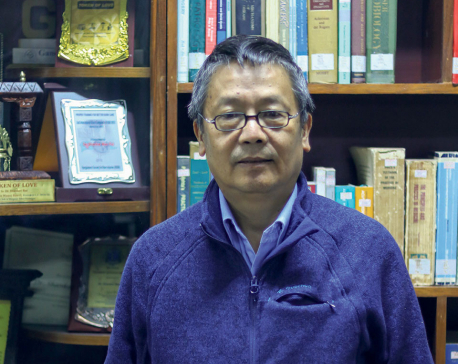 The government must pay attention to providing such handy tools,” Bista said. “People must have access to simple but important things like stretchers and wheelchairs,” he said. 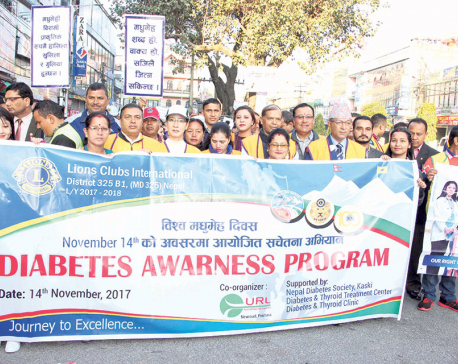 Meanwhile, Basanta Adhikari, chief of the District Community Health Office stated that the government needs to make the 'stretcher campaign' nationwide.